University of British Columbia bioengineering student Massimo Cau (left) is congratulated on being awarded the $30,000 Royal Canadian Legion Scholarship by Dominion President Tom Irvine. Research into the health and well-being of military personnel and veterans will help in a 2019 national action plan on post-traumatic stress injuries among first responders and public-safety workers. 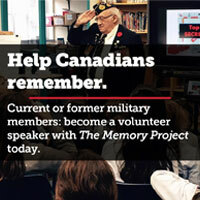 There are linkages between mental-health issues that confront firefighters, police officers, para-medics, correctional officers, border personnel, emergency workers and serving military and veterans, said Minister of Public Safety Ralph Goodale in the opening speech at the 2018 Canadian Institute of Military and Veteran Health Research (CIMVHR) forum in Regina. Like military personnel, public-safety officers run into the teeth of a crisis, he said. “The gruesome realities they are called upon to witness take a heavy toll”—58 first responders committed suicide in 2017 alone. Yet research into treatment and support lags. Nearly half of 5,813 first responders surveyed in 2016-17 screened positive for mental-health disorders, yet there is no consistency in the provision of treatment and services across the country. The research community can help, Goodale said, by providing data on which to base policy and identifying similarities and differences in occupational stress injuries between the military and first responders that will result in better treatment, services and support. The federal government is devoting $20 million for research and $10 million to develop internet-delivered mental-health treatment and support. But success hinges on the involvement of society as a whole, including provincial governments, universities, private research institutes and international researchers. “We have made a good start,” he said. 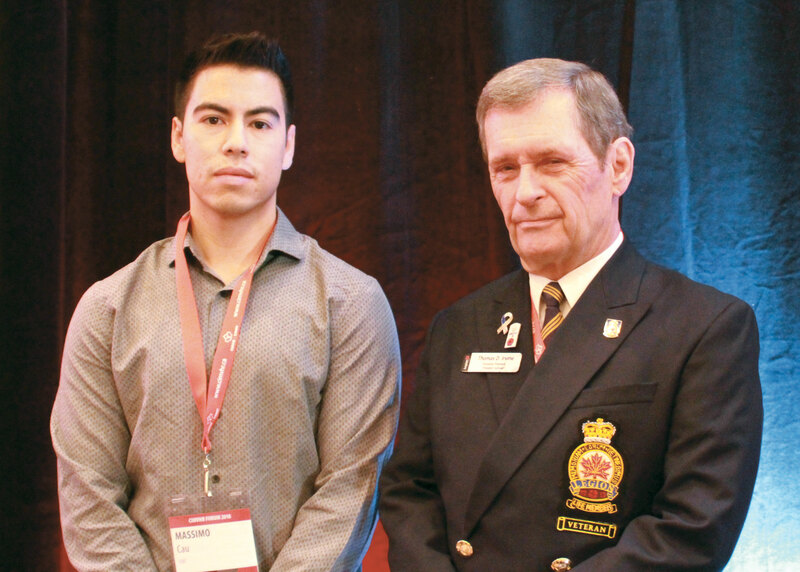 The CIMVHR forum devoted one stream of speakers—more than two dozen of nearly 140 presentations—to health and safety issues affecting first responders. The remainder of the presentations delved into a myriad of issues affecting military personnel, veterans and their families, including mental health, substance abuse and suicide, occupational injuries, training, transition needs, moral injury, family issues and prevention and treatment of disease. Keynote speaker neuroscientist Benjamin Dunkley reported on his research using magneto-encephalography to study effects of post-traumatic stress injury on soldiers’ brains. “There are distinct differences in how their brains function,” he said. “The PTSD brain is overactive even at rest.” Some regions of the brain have more connections than normal, including those involved in fear response, and communicate with each other more frequently. This could be the basis of some distressing symptoms like hyperarousal, insomnia and emotional overreaction. On the eve of legalization of recreational use of marijuana, James MacKillop, co-director of the Michael G. DeGroote Centre for Medicinal Cannabis Research, made a plea for continued research into veterans’ use of cannabis. Veterans are at risk of many conditions for which cannabis may be used, particularly pain and psychiatric disorders. Although 7,000 veterans have been authorized for medicinal use, many veterans turning to cannabis for relief are not doing so under the supervision of a health professional, perhaps using it for conditions for which there is no evidence that cannabis is effective, or using recreational cannabis that may lack effective ingredients or be laced with harmful substances. Even with medically prescribed cannabis, evidence is scanty about how it works, what effective doses are, which symptoms it helps—and which it does not. Recreational or medicinal, cannabis carries a risk of addiction. “The risks may outweigh the benefits” for some people, he said. There is no doubt of the benefit of using whole blood on wounded soldiers. It reduces shock, organ failure and death, Lieutenant-Colonel Andrew Cap, chief of blood research for the U.S. Army, said in a keynote address. The challenge is getting it as far forward toward the battlefield as possible. It has to be transported and kept in cold storage before use, and has a limited shelf life. The best results are gained when used within 30 minutes of injury—time when quick transport and outside help is often not available. That’s when tactical combat casualty care training—buddy help—in controlling bleeding proves its worth, he said. Moral injury was also explored. Retired lieutenant-general Romeo Dallaire spoke about moral dilemmas, spirituality and resilience. A workshop demonstrated how tweaking the therapeutic enactments of the Veterans Transition Program can successfully address some symptoms of moral injury. Other workshops investigated issues of female veterans, the future of battlefield medicine, building a national trauma research network, issues around relocation of military families, and research needed into military, veteran and first responder suicide. Two members of the Canadian Armed Forces were among 2018 award recipients. Robert Hawes received the 2018 Banting Award for his research into battle and non-battle injuries in Afghanistan from 2004-2012. Lieutenant-Colonel Suzanne Bailey received the Homewood Mental Health Treatment Award for her presentation about evolution of the CAF Road to Mental Readiness program. University of British Columbia biomedical engineering student Massimo Cau, researching use of wearable protection to control bleeding from wounds, received the $30,000 Royal Canadian Legion Scholarship. Deborah Norris of Mount St. Vincent University received the Colonel Russell Mann Military Family Health Research Award for her research into military family resilience. Lundbeck Canada will invest $20,000 annually for three years in support of the Wounded Warriors Canada doctoral scholarship program. The 2018 award went to Stephanie Houle-Johnson of the University of Ottawa for research into moral injury.